The story is really.......GREAT. Although its not completed yet, but the thrill of the game keeps me wanting more of it. The CGs were really good. Too bad it was a flash game. But love it overall, there's a total of 5 parts that are currently out now. This game is a MUST TRY!!! How the heck do you get the story bits of how they brought Izzy back to life or something? Only question on my mind. oh that. isis is actually izzy's dead body, resurrected by the micheals'. 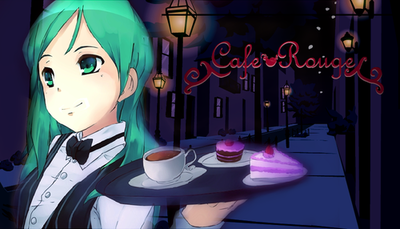 I'm playing the second part, but I can't find my way from my house to the café! I'm so lost! XD Please HelP!!! how do you get out of the maze in cafe rouge 4?